The adventures of one Kindergarten teacher and her students. New State, New Grade, New School, NEW NAME! Hello everyone! You may remember this site as "The First Grade Brigade" from a handful of years ago. (OK, 4 years ago - EEK!!) I know, I know...I did a few posts and fell off the face of the Earth. In that long span of time A LOT has happened! My husband was deployed, he came home and I we moved to Ohio, I got a new teaching job teaching Kindergarten, WE HAD A BABY!, I started my Master's degree, I was moved back to teaching 1st grade, I had to moved schools, AND now I'm back to Kindergarten this year. It's been crazy, but I'm back now - I promise! My name is Kristen. I'm originally from West Virginia, but went to college in PA and taught in Pittsburgh for about 7 years. 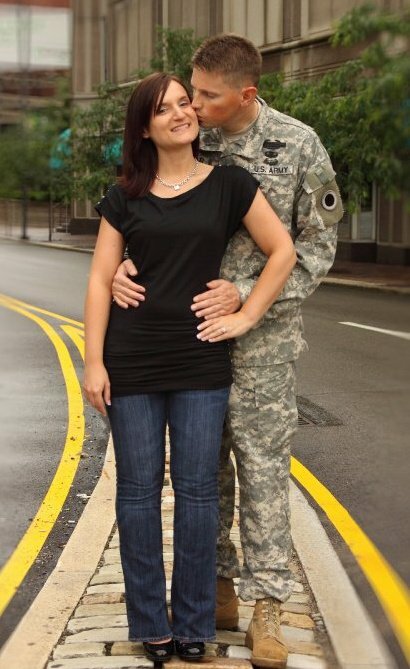 After my husband's last deployment we moved to Ohio for his work. I miss Pittsburgh, but am learning to love Ohio as well - go Buckeyes! After packing up and moving to Ohio, my husband and I found out I was pregnant with our first child. We have have a very bright, energetic, two-year-old son who we're both over the moon for. Right now I'm in the process of unpacking and prepping for a new school year. 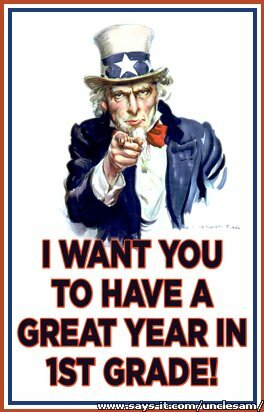 After teaching 1st grade last year, I've been asked to switch schools and grade levels and go back to Kindergarten for this coming year. I'm both excited and a little nervous for the switch! How long have you been teaching? 1- I teach 1/2 day Kindergarten, which means I'll have up to 52 little loves this year in my classroom. 2- I am getting my Masters Degree in Educational Technology, which means you'll see a lot of posts on great technology tips and tricks as I learn about them. What are you looking most forward to this school year? This is a tricky one. I'm still sad about leaving all of my friends at my old school. However, I'm looking forward to working with my new teaching partner, Erin, and also with meeting new friends and families at my new school. I'm looking forward most to meeting my two new group of students! What do you need to improve? I need to work on procrastinating less. I have a horrible habit of waiting until the last minute and then scrambling to get things done. With two classes this year, I've got to get better and staying on task! What teaching supplies can you *not* live without? 1. My Mimeo Board. After moving to a new district, I learned that I would no longer have a SMART Board. The Mimeo is very similar though (thank goodness!) and I couldn't live without it either! 2. Stickers and Stamps- I have 3 entire drawers plus a organizer box FULL of them! *This one hasn't changed since the last time I posted - in fact, my stamp collection has probably doubled thanks to a retiring teacher who gave me her collection! 3. Sharpies! I love, love, love them! I use the super fine ones for all my writing, and I think I have a huge drawer with every color imaginable as well. 4. My computer. Seriously. I don't know how people lived/taught without computer access. I spend way to much time on my computer researching, planning, and creating for my classroom. 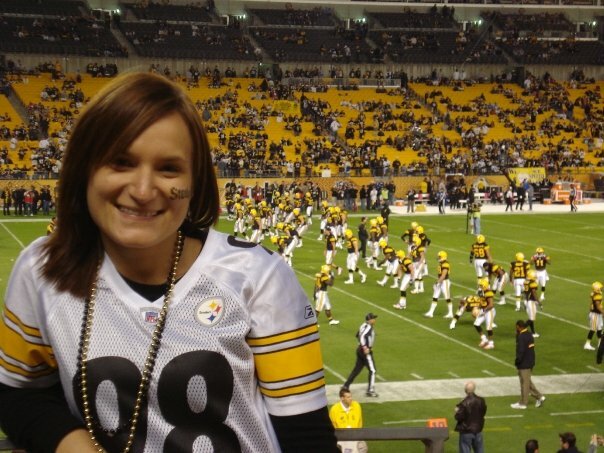 My name is Kristen and although I've lived in Pennsylvania since college, I'm truly a West Virginia girl at heart. I'm married to a wonderful man named Travis who, as you know if you've read any of my previous posts, is about to be deployed to Afghanistan. Right now I'm working hard to get everything ready and rolling for my new group of 1st graders and prepare myself for this upcoming 13 month (yes- you read that right, 13 month) deployment separation from my husband. We don't have any children of our own yet (I always say I have 20 of them 190 days a year) but we hope to some day! My husband and I are both HUGE Steelers fans as well, which is kind-of interesting since he's from Ohio and I'm from WV. He even proposed to me at a Steelers game! This is my 7th year teaching (GASP! Really?! I've already been teaching that long?!). I've been super lucky enough to have taught first grade for all of those years! I teach in a charter school. There are a lot of teachers and school districts in general who don't like charter schools, but I have to tell you- after teaching in one, I definitely see their worth! Charter schools for those who don't know are, I like to say they're a mix of the best of both public and private schools (at least mine is). See this Wikipedia entry for more info. The school I teach at has been so successful that we've expanded to 6 elementary schools (K-8) and 2 high schools this year, with plans to open at least one more elementary and high school next year as well! I'm really looking forward to being able to teach with my favorite first grade teammate- Sarah. She and I have been teaching together for the past 4 years and we work together like we're one teacher! We do a lot of lessons and activities as a whole first grade, and we often find ourselves finishing each other's sentences. Last year, however, she decided to go 1/2 time to spend more time with her son, which was a great choice for her, and the teacher that came in for the afternoons was great, but I MISSED HER! I'm excited to get back to our old routine this year. I'm also looking forward to using all the great resources and information I've found from following all these AWESOME blogs and Pinterest boards. I didn't find this world of teacher blogging until the spring of last year, and although I fell directly in love with it and shared and used lots of resources and activities, I'm excited to start at the beginning of the year with all my amazing blogging friends! First, I REALLY need to get more organized! This year especially I plan to work harder to make sure everything has a place. I'm tired of being that teacher who is asking the kids "Did you see where I put....?" Secondly, I need to work on my filter. This one doesn't so much go for my students as my coworkers. I almost hate to admit this to blog-land, but I tell it like it is and sometimes my mouth gets me in trouble. Frankly- people don't like it. So, one of my main goals this year is to filter what comes out of my mouth. 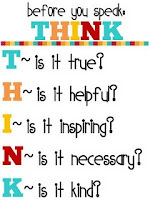 I have the sign up in my classroom to help both my students and me remember to do this (click the picture to get your own copy). Lastly, I want to be better at grading and returning papers. I have a bad habit of letting papers sit on my desk before getting graded, entered into the computer, and returned. Then I end up with a weekend's worth of paperwork to do right before the trimester ends! My goal this year is to have papers graded, entered, and returned within 1 week of when I get them. 1. My SmartBoard! I LOVE this thing! Weather it's being used for a whole group lesson or in a center, it's on and being used almost all day for something. Towards the end of last year the bulb in my projector went out and I went almost a week (*gasp! *) without it, and I felt like someone had cut off my arm! See this post for more info about how spoiled I realized I was that day. 3. Sticky notes in every shape and size possible. 4. My CD player and music. I'm constantly finding ways to tie music and movement into what we're learning. 5. This one's not really a teaching "supply", but Chick-fil-A chicken biscuits and sweet tea. If I have time to drive through when I'm having a rough morning it can totally turn my day around. I've been known to buy a gallon of the tea and keep it in the fridge for refills throughout the week as well. So that's all for today. If you'd like to do your own entry and link up feel free! Stop by I'm Blog Hopping by clicking on the picture below to link up! Check back here later tonight for my Entry #2 - Teacher Talk Tuesday! My Patriotic Theme- Ideas Help and a few Thank-yous! This year I'm doing a patriotic/USA theme in my classroom to show support for my husband since he is deploying just a few short weeks after school starts. So far I've changed my bulletin board backing to some red, white, and blue starred fabric, put up new red curtains, added a bulletin board for student work that says "Star Spangled Work", and made everything I possibly could red, white, and blue and patriotic. First, THANK YOU! to Mrs. Magee at First Grade Brain. She has some beautiful themed resources in her TpT store for classrooms. I asked her to make a patriotic theme and she did! I'm so excited to use the name plates, class forms and sub notes, and the newsletter! In addition to her patriotic theme she has A LOT of others including: bees, frogs, ocean, hollywood, and Dr. Seuss! Stop by her blog or TpT store to check them out. Thanks again Mrs. Magee! My second THANK YOU! goes to The Organized Classroom Blog's Facebook Page. I posted on the page asking for ideas to go with my theme, and Charity took my question a step further and posted it again on the wall. I got SO MANY fantastic ideas to use from her followers! Some of my favorites were to make an army Flat Stanley to send with my husband (I'm dressing him and camo and calling him Sgt. Flat Stanley), making a personalized Uncle Sam Poster from www.says-it.com, and a camo bulletin board with netting with "Hide Yourself in a Good Book". Thank you Charity and your Facebook followers for your help! I can still use more ideas and resources for my theme. If you have any you'd like to share, please comment below! Michelle at Michelle's Math in the Middle is hosting a Pinterest Linky Party! 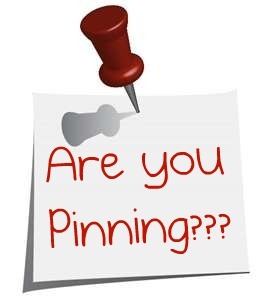 I know I posted a little while ago about the Pinterest Party that The Teacher's Lane was having, but if you didn't get to include yourself on it before it closed, stop by Michelle's blog and check out all the great Pinterest Boards you can follow and link yours up to! Be sure to click the button below or on my side bar to follow my boards! Also, if you're not already, don't forget to also become a follower of my blog! 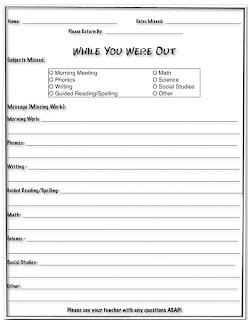 One of my goals for this coming year is to be more organized about my absent students and their missed work. I found two super cute files on Pinterest from Mrs. Gilchrist's Class for my folders (click here to check them out), but I needed a form to fill in for my students with information on the work they need to make up as well. I couldn't find a premade one that I liked, so I decided to make my own. I thought a "While You Were Out" memo would be fun, and I'm going to print them onto pink paper just like the office memos. Since this is one of my first files I've made, I decided to share it FREE with all of you! Just click the picture below to download. If you decide to download and use it, please leave a comment and let me know what you think! 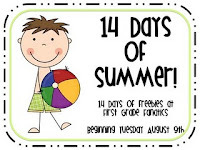 Also, if you're looking for some more great Back to School Freebies, you need to stop by First Grade Fanatics for their 14 Days of Summer Giveaway! For their last 14 days of summer vacation (How lucky are they that they still have 14 days left?!) they'll be giving away a free printable every day starting August 9th! Be sure to click on their link to check it out! Pinterest - Better Late Than Never! So I'm a little late to the party on this whole Pinterest thing. A teacher friend showed it to me back in May, but it took me until a few weeks ago to realize how AWESOME it is! Kim at The Teacher's Lane has been hosting a Pinterest Linky Party for the past month, and I just found it! If you haven't been by her page to see it, be sure to stop by. If you want to link up you have until the end of the day today, but even if you don't visit in time to link up you can still view a lot of different teacher's Pinterest pages and add your favorites to yours! Click the picture below to view the party and link up! Sandy at Ms. Fiorini's Stadium is hosting a Recipe Linky Party and I just had to join. There are a lot of times when I come home from a long day at school and the last thing I want to do is cook. This linky party is going to help the participants to make more homemade, easy to prepare meals. She's even going to put all the recpies into a document to share with everyone when the party is over! After you're done drooling over my recipe, stop by her blog to check out the other yummy recipes and link up! Fix stovetop according to package directions using 1/2 c. less water, leaving the stuffing a little dry. Put prepared stuffing in the bottom of the Crock Pot. Salt and pepper chicken breasts and lay on top of stuffing. Pour mushroom soup over top of chicken and stuffing. Add about 1/4 can of water and pour over top as well. Cover and cook on low 4-6 hours. What Should I Do With This?! Here are my two items for the What Should I Do With This?! Linky party! 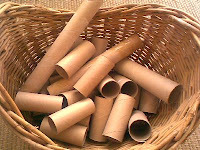 The first one is something I'm sure many of us have- paper towel rolls. I had them on my list of craft supplies list a few years ago for my parents, and now I have a box full. I hate to throw them out, but I'm running low on new creative ideas of things to do with them! 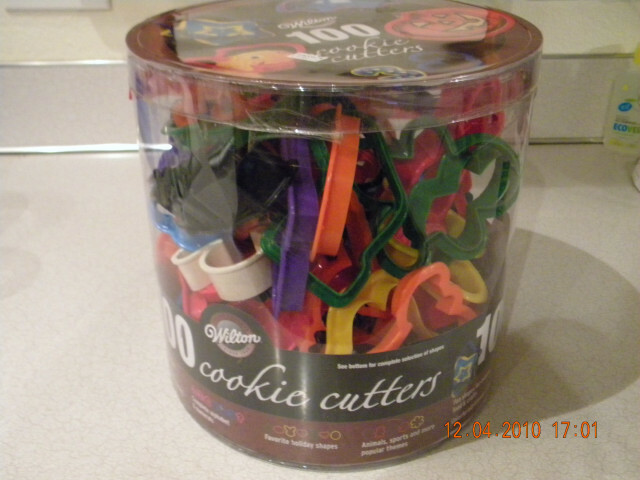 The second thing is a set of Wilton 101 Cookie Cutters I found at a garage sale over the summer for $2! (This isn't a picture of my set, I already brought mine to school, but it's the same ones.) I couldn't pass the deal up, and I know lots of things I could do with them in my own kitchen, but I'm at a loss of what to do with them besides cut playdough at school. Any ideas? Leave me some ideas of what to do with these and be sure to link up on my linky party with your own "What Should I Do With This?!" items! Every year I find myself with various pets in my classroom. There are so many benefits to having pets in the classroom, that I feel that more teachers should do it. 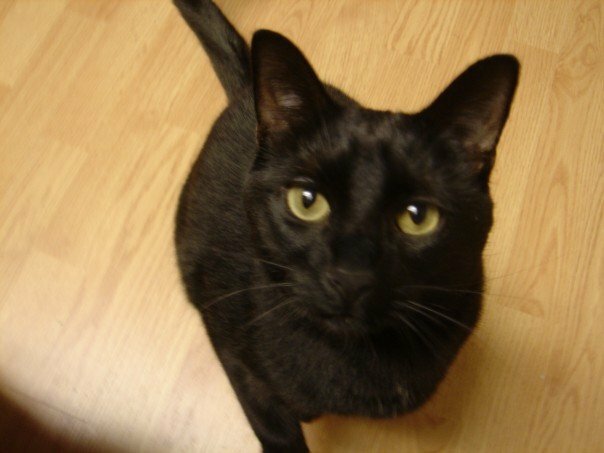 I understand that some school districts no longer allow pets in the classroom, and I do agree that a teacher should not have class pets if they do not feel that they can care for the pets year round, but I feel that more teachers should take time to look at the advantages of having a class pet. In my own classroom this year we have a hamster, 2 African Dwarf Frogs, and a Beta fish. There's really very little upkeep from myself to care for these animals after the first few weeks of school- my students do almost everything! One of our weekly class jobs is our Zookeeper who is in charge of caring for all of our class pets for the week. We have a list by the animal supplies that tells students which animals get fed on which days (Hamster: Monday, Wednesday, Friday Frogs and Fish - Tuesdays and Thursdays). The zookeeper also helps clean our hamster's cage every other week, and helps clean the frog and fish tanks as needed (usually once every month). My students really enjoy the responsibilities of caring for the pets, and there are many ways that I incorporate them into our lessons as well! I created a letter for my parents and permission slip that explains some of the benefits of having pets in the classroom, as well as our class rules and expectations for our pets. I go over this in class with my students, and then send it home so they can review it with their parents and sign it. It helps me to be sure all of my parents are aware that we have class pets, and it also helps me to find responsible families to care for our hamster over long holiday breaks. Feel free to download it to use in your own classroom by clicking the hamster picture below! In past years I've found two great resources to help me with pets in my classroom, both with getting funding to buy and care for them as well as information for my parents and students. The first site is Pets In The Classroom. This fantastic site is filled with resources and information about different pets in your classroom as well as their benefits. It also provides GRANTS to help K-6th grade teachers purchase or maintain pets in their classroom. Click the logo below to find out more! Another great resource I found is from Petco. 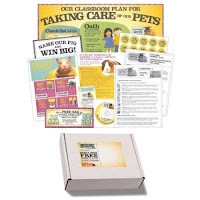 They provide a Lesson in a Box kit that provides resources for up to 30 students to teach them about pet care for small animals! It also comes with some useful coupons for teachers as well. The kit is FREE including shipping. Click the photo below to get more information and order yours! Petco stores are also a great place to check if you're looking to get a small animal or fish for your classroom. They're really knowledgeable at helping teachers select the right items for their pet that fits into their space and time constraints. They also sometimes offer adoption days where you can get the pet for free if you buy their cage. The day I got my class' hamster I was really only stopping in to buy a new beta fish, but they were having one of the adoption days and I fell in love with the little guy. 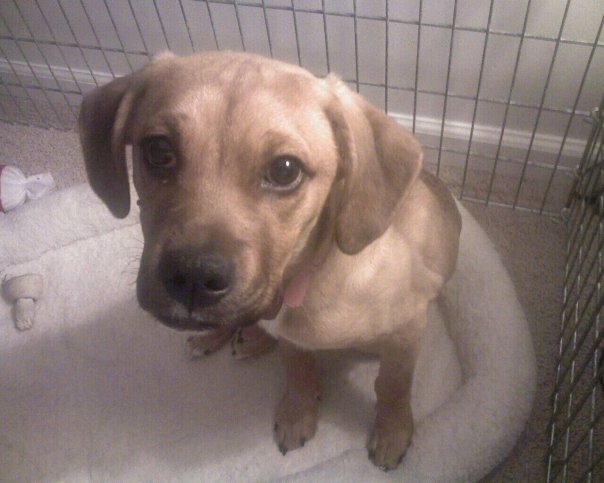 Do you have pets in your classroom? Have you found any sites or stores particularly helpful in your quest for the perfect pet? Top 10 Things to Know about Ms. Vollmar! Mrs. Owens is having a super fun linky party at her blog Go Fourth! With Mrs. Owens and I thought I'd participate as well and share a little bit about me with all of you! Be sure to check out her blog and link up as well, and while you're there, enter to win her giveaway for 100 followers! 1. I am new to blogging, but becomming totally obsessed! I love learning what other teachers do in their classrooms, and it's inspired me to be a better teacher with my own firsties! 2. 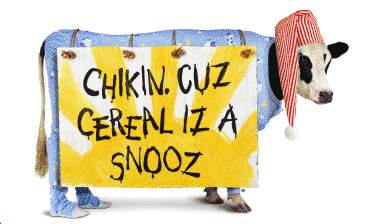 My favorite "on the go" breakfast is Chick-fil-A's chicken biscuit and a large sweet tea. If I could stop there every morning, I probably would, but I'd also probably weigh like 400 pounds. 3. I SWORE growing up that I would NEVER marry someone like my father or someone in the military. I did both, and I couldn't be happier. 4. Although I don't look it, I'm 1/2 Italian. 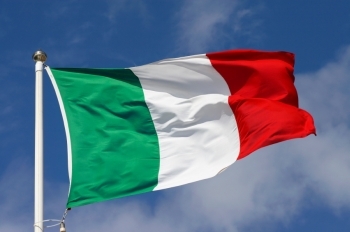 I'm totally obsessed with my Italian heritage, and hope to make it to Italy someday. 6. 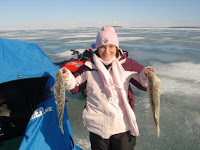 I like fishing. My husband and I own a boat (which he bought before we met) and we spend as much time as possible out on it. 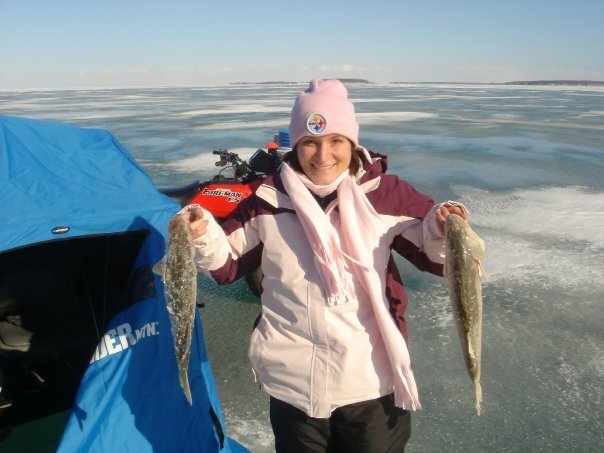 I even like to go ice fishing. 8. I love watching football and am a HUGE Steelers fan. 9. 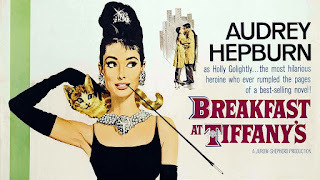 Breakfast at Tiffany's is one of my favorite movies of all time, and Audrey Hepburn is my favorite actress. 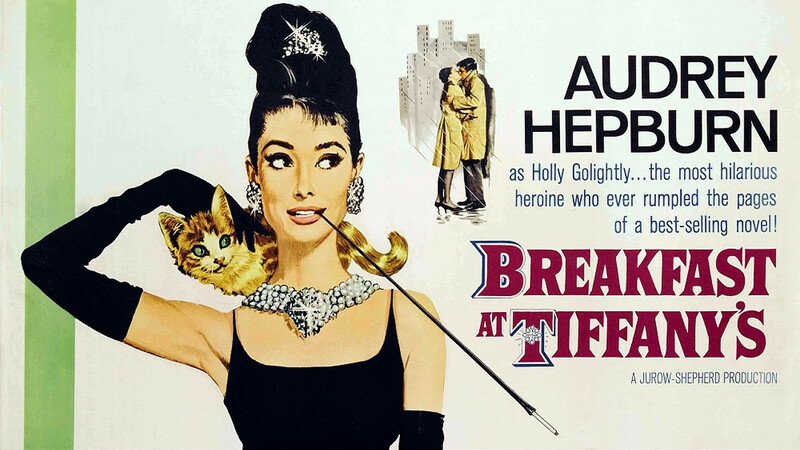 My bedroom is filled with black and white pictures of her from Breakfast at Tiffany's, and I own and have read many books about her. My bridal shower even had a Breakfast at Tiffany's theme. I hope you enjoyed learning a little bit about me! 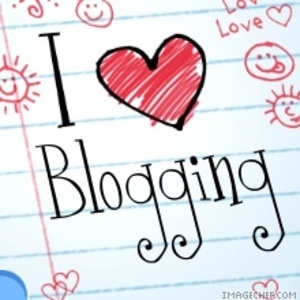 I always love reading and learning about all of my friends out here in blogger world as well! Check back soon for some posts about back to school and class pets, AND hopefully my first giveaway! I'm a Kindergarten teacher happily navigating my way through my 11th year of teaching. I've taught Kindergarten and 1st grade, and am happiest teaching a classroom of little learners. I love reading, crafting, and of course teaching! I have a Bachelor's Degree in Elementary Education and am currently working on my Masters in Educational Technology. I'm so excited to reboot my blogging adventure!